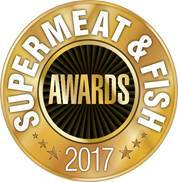 Laila’s Fine Foods scooped Winner of the ‘Best Ready Meal Product’ at the SuperMeat & Fish Awards 2017 on 11th September 2017 at the Institute of Contemporary Arts on The Mall, London. Hosted by leading industry publication, Meat Trades Journal, these awards have grown to become one of the most prestigious events in the industry calendar. Rewarding excellence in retail success and the manufacturing of meat, poultry and fish products, acknowledging those that push the boundaries and drive the industry forward to greater heights. 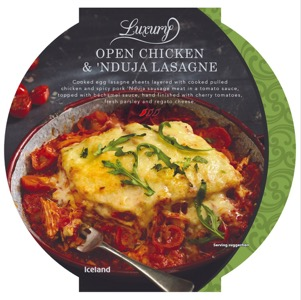 Laila’s Fine Foods were delighted to accept Winner of the ‘Best Ready Meal Product’ for their product as supplied to Iceland, Luxury Open Chicken & ‘Nduja Lasagne. Rishma Remtulla, Sales and NPD Director, Laila’s Fine Foods, comments “This is a fantastic achievement. We are passionate about innovation and winning this award is testament to our dedicated team, who work with our retail partners throughout the year with enthusiasm and pride to create award winning quality products that offer consumers real convenience”.